The intelligent Phantom Gaming 2.5Gb/s LAN platform is built for maximum networking performance for the demanding requirements of home networking, content creation, online gaming and high-quality media streaming. Boost networking performance by up to 2.5X the bandwidth compared to the standard gigabit Ethernet; you'll enjoy fast and uncompromised connectivity for gaming, file transfers and backups. Automatically detects and accelerates game traffic ahead of other network traffic for smoother, stutter-free in-game performance and a true competitive edge. 2T2R 802.11ac Wi-Fi 2.4/5Ghz (160MHz) module that supports up to 1.73Gb/s wireless networks and Bluetooth v5.0. Experience up to 289% speed boost compared to your old Wi-Fi. 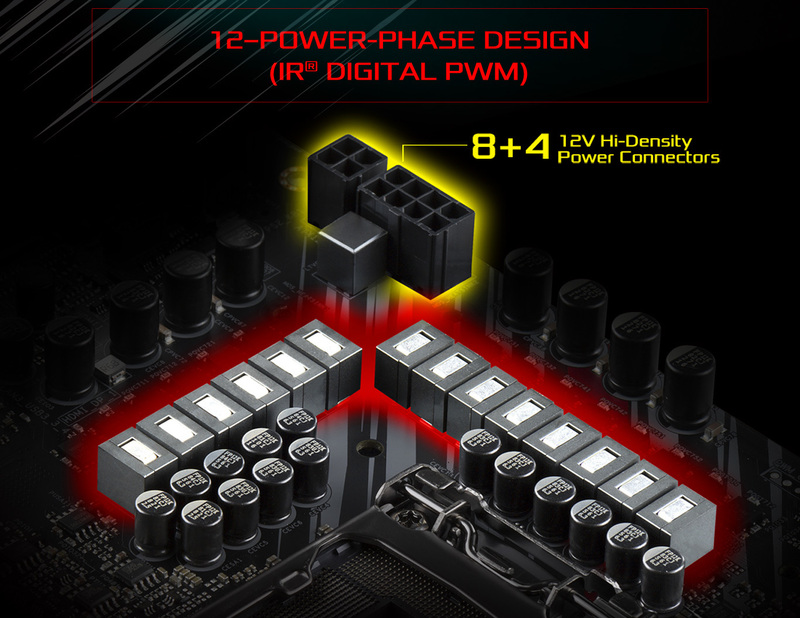 The dual LAN with Teaming function enabled on this motherboard allows two single connections to act as one single connection for twice the transmission bandwidth, making data transmission more effective. Featuring sturdy components and completely smooth power delivery to the CPU, the Z390 offers unmatched overclocking capabilities and enhanced performance for advanced gamers while still keeping temperatures at their lowest. In addition to built-in RGB illumination, the Z390 also features onboard RGB headers and an addressable RGB header that allows the motherboard to be connected to compatible LED devices such as strips, CPU fans, coolers, chassis and so on. Users may also synchronize RGB LED devices across Polychrome RGB Sync-certified accessories to create their own unique lighting effects. *The addressable RGB LED header supports WS2812B addressable RGB LED strips (5V/Data/GND), with a maximum power rating of 3A (5V), a max of 80 LEDs and length within 2 meters. **The RGB LED header supports standard 5050 RGB LED strips (12V/G/R/B), with a maximum power rating of 3A (12V) and length within 2 meters. Welcome to a new world of cinematic audio that delivers unprecedented levels of audio realism, dynamics and punch to gaming sound. Whether you're gaming or watching a movie, Reality 3D technology lets you enable 5.1/7.1 surround sound for an additional layer of transience to your listening experience even with just a pair of headphones or stereo speakers.